The slow cooker or crock-pot is a miraculous piece of equipment for most busy families. Put your ingredients in, set it to the proper time and temperature, and let your dinner cook itself. But, when it comes to perfecting your favorite cuts of beef, things can get a little tricky. The last thing you want is to be looking forward to a mouth-watering dinner all day and end up with a dried-out slab of beef. Fortunately, finding the right cuts of beef and learning how to slow cook it makes a world of difference. So, let’s get to it! Can You Really Cook Beef in a Slow Cooker? Of course! Many people shy away from beef cooked in a slow cooker for fear of it becoming dry and losing flavor. Some simply don’t want to chance taking a high-end cut of beef and messing it up by not knowing the best way to slow cook it. We don’t blame you; a beef lover is very protective of his or her meat. 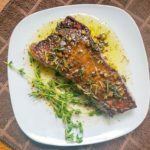 The key to cooking meat in a crock-pot, especially when it comes to beef, is to not totally “set it and forget it.” We know that’s one of the reasons you love your slow cooker, but keeping a somewhat-vigilant eye over your beef can make the difference between juicy and flavorful and dry and tasteless. A simple check on the liquid and a quick stir every occasionally, are usually all it needs. It’s also important to season your beef first and then add plenty of beef broth or another liquid a recipe for slow cooked beef calls for. The meat will make a little of its own juices, but cooking it without liquid may dry out your beef long before it’s even fully-cooked, making for a not-so-appetizing dinner. 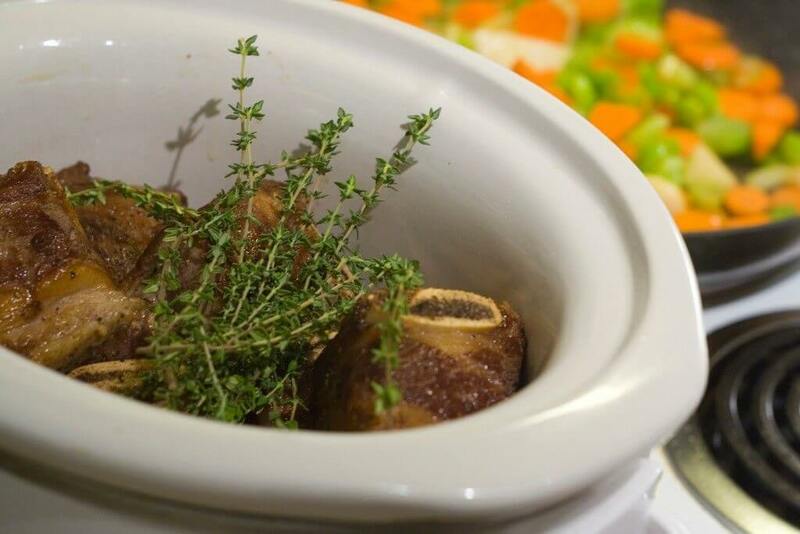 Why Would You Want to Slow Cook Beef in a Crock-Pot? Believe it or not, using a slow cooker with beef makes it incredibly flavorful and tender, if done correctly. Plus, it’s convenient! There’s not much easier than cooking a meal with a crock-pot that you don’t have to monitor constantly. Check it occasionally and you’re usually good to go. Especially with meat, gradually cooking it allows it to tenderize itself from its fatty tissues. 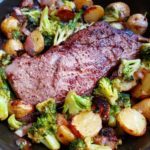 That’s why cooking roast beef in a slow cooker is often the most preferred method for the popular dish; it cooks over time and becomes incredibly tender, making for the best melt-in-your-mouth roast beef. If you want to cook a roast beef dinner in a slow cooker, first choose a roast that will fill your slow cooker about ½ full. Any larger, and it may overcook on the outside, while leaving the inside undercooked. If you’re planning to cook vegetables with your roast beef, you should allow them to cook for about an hour before adding the beef. Cook the veggies with at least ½ cup of liquid. You can use water, beef broth, onion soup, or whatever yummy liquid floats your boat. Once you add your roast beef, cook it on high for about an hour to quickly bring the meat to a safe temperature of 140 degrees Fahrenheit. You can then turn the temperature down and allow it to slow cook for another four to six hours, or until it’s fully cooked to 160 degrees Fahrenheit. Stir the ingredients occasionally during cooking. Remove the beef and allow it to rest on a plate for about ten minutes. If you look up “slow cooked beef recipes” or “beef joint in slow cooker recipe,” on Google, you’ll find several, but without knowing the basics about slow cooking beef, you still could end up with an underwhelming meal. Beef joints can especially go from tender to dried out in a short amount of time, making them a tricky cut to perfect. When you search for a slow cooked beef joint, choose one with plenty of fat. A lean joint won’t provide the marbling needed to tenderize the joint during slow cooking. Beef joints also do best when they’re placed on top of a bed of vegetables, like carrots, onions, celery, or garlic. This keeps your beef joint from touching the bottom of the slow cooker and cooking too quickly. A beef joint in a crock-pot also needs about a ½ cup of liquid – beef broth is usually an excellent choice – to keep it tender and flavorful as it cooks. Place it on the lowest setting and only open it to add a small amount of liquid, if needed, and to stir your veggies. Your beef joint should cook to at least 145 degrees Fahrenheit. Allow it to rest for ten minutes before slicing. We hope you’ve learned that cooking beef in a slow cooker is not only plausible, but absolutely delicious when done correctly. Remember: the right amount of liquid, a set of vigilant eyes, and choosing beef with plenty of marbling are key ingredients of the perfect slow cooked beef meal. Now that you know how to cook beef in a slow cooker, we hope you have fun experimenting!